Putting multiple tools together into one single package is not a revolutionary idea. Odd-jobbers and craftsmen have been doing it throughout history, but it wasn’t until a lad named Tim Leatherman commercialized their use. 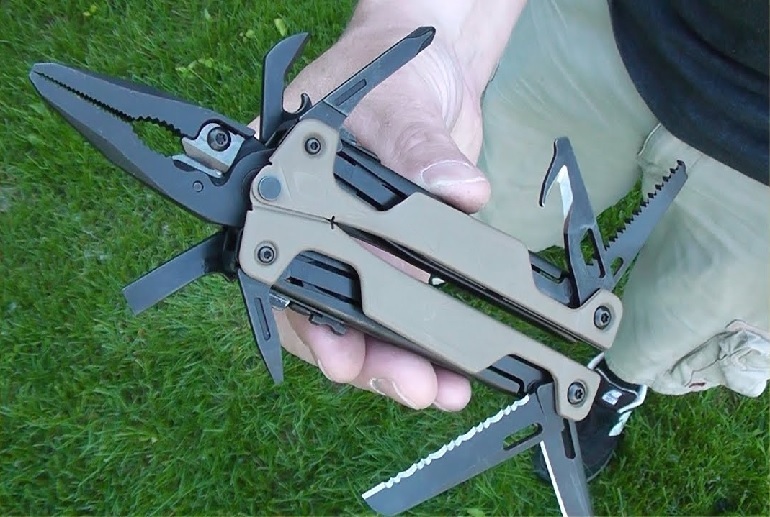 The first multi-tool by Leatherman was known as the Pocket Survival Tool, which later evolved into the Leatherman series which are now the most commonly found and used multi-tools around the world. Since the Leatherman series of multi-tools was introduced, the range has become quite large, and there are now Leatherman tools that feature various different tool combinations, all of which are meant for a wide range of purposes. In order to get the right one, there are two important “rules” you need to follow. These rules will decide whether one model or another is a better fit for you and the things you need it for. From the one-hand-operating Leatherman OHT to the versatile and heavy-duty Leatherman 300 Super Tool, there are many options to pick from. The first rule of buying a Leatherman is – how you carry it is all that matters. The best tool in any situation is the one you have with you. However, keep in mind that multi-tools, no matter how useful and great, can’t replace real tools. Take the Leatherman OHT, for example. It features spring-action pliers and needlenose pliers, replaceable wire and hard-wire cutters, a high carbon knife, a Phillips screwdriver and 3 screwdrivers of various sizes, a saw, a can and bottle opener, a strap cutter, a cleaning rod attachment, and an oxygen tank wrench. Although rich in variety, you can’t expect any of the aforementioned parts of the Leatherman OHT to outperform a real tool. However, if you were to bring all of the tools the OHT incorporates separately, you’d probably have to bring an entire toolbox worth of items, which isn’t ideal when camping or hiking, for instance. Further, the fact that you can operate all of the aforementioned tools on the OHT using only one hand makes a lot of tasks significantly easier. The second rule to buying a Leatherman tool is to keep it simple. You want a multi-tool that’s robust, useful, simple, and that you can carry with you easily, wherever you go. Avoid models like the Signal that come with useless features like a whistle and a Ferro rod. These parts are extremely small, which is what makes them kind of useless, and you can lose them the first time you go camping. A lot of people go for the bulkier models which contain more “tools” just for the sake of having them. Most of those tools will never be used, and they just get in the way of design and functionality.